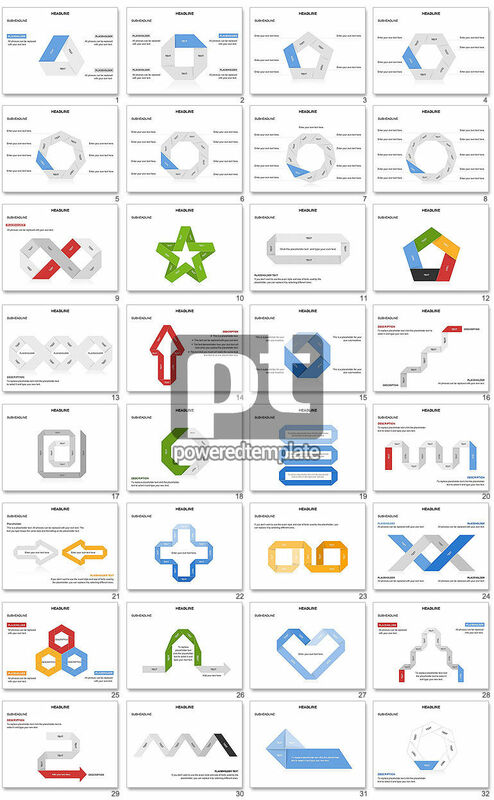 These presentation slides 50042 are complete compatible with Google Slides. Simple download PPTX and open the template in Google Slides. The concept of this presentation is realized in various shapes of folded paper stripes that combines in original figures and represent the main information while this. Main colors repeated on this slide deck are blue, grey, green, red, yellow and black – all these tone are beautifully viewed on white exciting background.